La Flora, in natural and pristine Khao Lak, is set on an idyllic, large beachfront, just over an hour north of Phuket airport. The resort features 68 spacious rooms, suites and villas and, as its name suggests, is hidden inside a large tropical garden not far Khao Lak’s national parks, Similan Dive Sanctuary and numerous waterfalls. A total of 68 luxurious rooms suites and villas; all of them with private terraces. 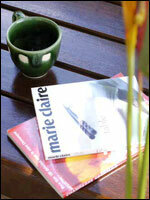 The Deluxe Rooms are located in low-rise buildings scattered throughout the gardens. The rooms are all luxuriously appointed in a modern Asian Style with spacious bathrooms, which can be opened up to the rest of the room. Comfortable day beds and private terraces complete the room. The Deluxe Court Yard Rooms are located on the ground floor and are over 54 sq M. The rooms feature walk in closets and a large bathroom with private shower and bath as well as day beds overlooking the gardens. 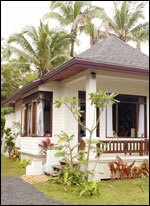 The Deluxe Sea View Villas are located close to the beachfront and boast the best sea views of the resort. They feature a large living space and spacious private terraces with the bathroom extending to a small private garden with an additional rain shower and special bath tub for two. 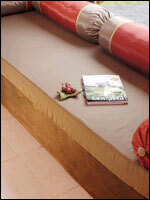 Each Villa has a DVD system and comfortable day beds. The 170 sq. 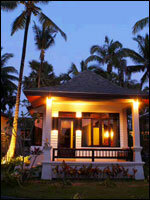 M, luxurious Pool Villas feature private Jacuzzi pools overlooking the Andaman Sea and a large sundeck. 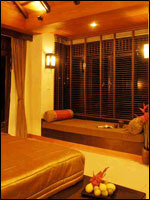 Each Pool villa has two bedrooms, large living room and two luxuriously appointed bathrooms with outside rain shower. View 59, Contemporary International Restaurant, Green Banana serving Thai Sea-food and International beach cuisine - Savoey Sea-food, offering Thai-Chinese Sea-food. Beach Bar and BBQ. The Sanctuary Spa, located in the center of our tropical garden, offers a wide range of holistic programs to balance body, mind and spirit. As part of Sanctuary Resorts’ commitment to environmental projection, the resort treats its wastewater for recycling in the garden through non-chemical means. During the construction, La Flora has limited the cutting of trees as much as possible. A range of diverse, rare trees has been donated to the resort’s gardens to provide birds and other fauna a sanctuary to nest in.